Product #1806 | SKU 358 | 0.0 (no ratings yet) Thanks for your rating! 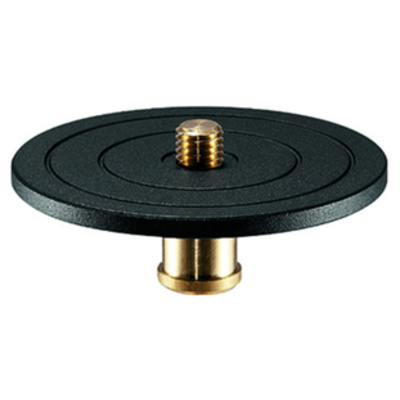 The 358 Survey Top Plate from Manfrotto is a spare or replacement plate for the 324 Survey Adapter. The plate utilises a brass 5/8" mounting screw which enables compatibility with the standard attachment interface system used in the survey and measuring industry. Additionally, the 358 Survey Top Plate cannot be mounted to a tripod as-is. The 324 Survey Adapter is required when mounting this top plate to any standard 3/8"-16 tripod mount. Top Mount Thread Size 5/8"